Emergency funds are like New Year’s resolutions, everyone likes the idea of having them but not enough people actually put in the time and effort to see it through. Your expenses may be in a slightly different order but we all have pressing money needs and it’s not uncommon to barely squeak by or come up short at the end of the month. If you look at those expenses, they don’t even include disposable spending like clothing, cable, Internet, cell phones, dining out, gifts, travel, movies, sporting events, kid’s activities, etc. The list also doesn’t include any money that you might save for the future like retirement accounts, a college fund, or a down payment for a house. It’s possible you spend most or all of your paycheck just paying the necessary bills. Then if you have any left over some probably goes toward disposable purchases and perhaps some is saved for the future. So how much does that leave for your emergency fund? Like I said, it’s hard to blame you for not building an emergency fund when you have your money committed to so many other things every month. What would happen if you did stop paying some of those top 10 bills? You might start getting letters and phone calls about turning off your service, canceling your policy, taking away your property, pursuing unpaid taxes – or it could mean less to eat or not being able to visit the doctor when you’re sick. Do you agree those are ‘no-debate’ expenses, ones that you have to pay every month or you find yourself facing some serious consequences? If you’re nodding yes, then you probably won’t like what I’m about to say. Those top reasons you don’t have an emergency fund are the exact same reasons why life as you know it could someday be saved by your emergency fund, or ruined by the lack of one. The expenses you must pay each month are probably the main reason why you’re not building an emergency fund. Yet, those expenses are the same ones you may desperately need your emergency fund to pay someday. The nasty thing about emergencies is that they tend to come in groups – the first can create a chain reaction that quickly spawns other disasters and before you know it you’re looking at a stack of bills that you can’t possibly pay. Right now you may have figured out a balance between your income and expenses and tuned it to the point where you can pay your bills and potentially have some left over each month. Think of it like an engine, if you keep adding gas and oil and keep your foot on the pedal then life keeps moving forward. But what happens when a piece of your money machine has a problem? A typical example is losing your job, the main income-creating part of your system. When that piece breaks down, the pieces that depend on it start to have trouble. If you have an emergency fund that can replace even a portion of your income for a few months then the whole engine doesn’t come apart leaving you dead in your tracks. You’ll have to slow way down, spending as little as possible and doing everything you can to replace your income – but at least you can keep on rolling along. On the other hand, if you don’t have an emergency fund and you can’t fill the income gap lost from your lost job then suddenly you can’t pay all your expenses. You might decide to keep paying your mortgage or rent so you have somewhere to live but that might mean you have to stop your car payments. When they repossess your car, it’s harder for you to get around to look for new work – the best jobs may be on the other side of town and it’s tough for you to scout out work and get to interviews. Not only that, now your credit has suffered because you defaulted on your car loan and you lose the ability to borrow more money, at least at a reasonable interest rate. If you’re already approved for a credit card you can use it for a while to get by and just make the minimum payments. However, you’ll probably quickly hit your spending limit – not to mention you’re starting a cycle of high-interest debt that you’ll be caught up in for years to come. Once you’re in the hole financially, it’s tough to climb back out and things could get continually worse. A total failure of your money system can take you from doing okay to being in big trouble financially in a pretty short period of time. Will You Ever Start an Emergency Fund? As bad as this all sounds, it’s just hypothetical. It may never happen to you or might not happen for another 20 years. The whole experience sounds horrible but you probably don’t feel imminent danger and those necessary monthly expenses demand to be paid every 30 days. So, like I said – with demanding expenses and only a possibility of total financial systems failure at some point in the future – I can see why it’s tough to make yourself start an emergency fund. You tell yourself that you’ll start putting money away as soon as you reach a financial milestone, but then you get there and priorities have changed and your money goes somewhere else instead. I hope for your sake that you’ll never be in a position where you need to dip into an emergency fund. But knowing the way the world works I’m afraid that can’t be the case for everyone. So I also hope that you’ll keep the image of total systems failure in the back of your head and someday, maybe soon, will figure out a way to start putting away some money every month for your emergency fund. 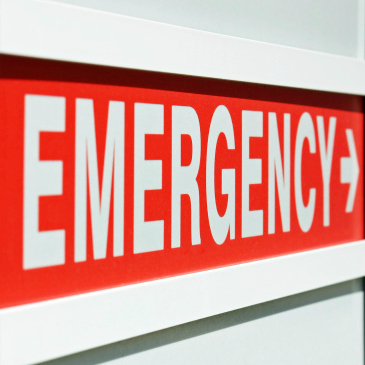 Are you planning on starting an emergency fund? What’s holding you back? Let us know in the comments section! hear hear! The importance of emergency fund is to be taken seriously. It is difficult when you first look at it but at the end of the day it will probably save you from a lot of uncertainties that might come your way. The truth is -it is fairly difficult to start saving and maintain an emergency fund. We may be decided but paying bills, mortgages and insurance policies prevent us from doing so. It is a matter of discipline. It is not possible to save unless you exercise some restraint in spending. I tell all my clients to start an emergency fund regardless of how much they put in. Whether it’s $20 or $200, I tell them to put in as much as they can whenever they can. I started small. $50 a month into an online savings account, and have progressively bumped it up over time. Its built up to a decent emergency fund, which I continue to build. Wow, sounds like the story of my life. I did have an emergency fund the first time I was laid off which got me through that period. But the second time I was laid off, I still didn’t and I used my HELOC and CC to support myself. I learned my lesson, but was in such a hole that when I was laid off the third time, not only did I have little savings but a lot of debt. Now I am fully dedicated to getting out of debt and build a 12 month savings fund.